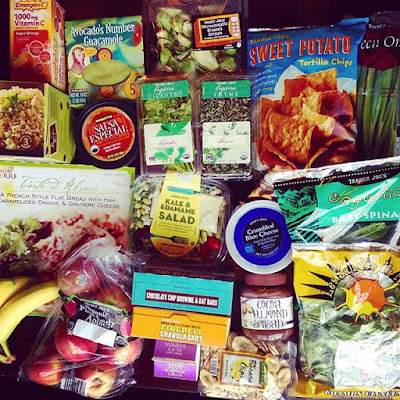 (being inspired by Trader Joe's List to see all my goodies at once), I realized it's been another long while since I talked about some of my favorite things. TJ's things among the list, of course. I shared this pic awhile ago and I loved these Sriracha chips so much that I cannot have them in the house anymore. Seriously. I ate nearly the entire bag and felt not so great afterwards. 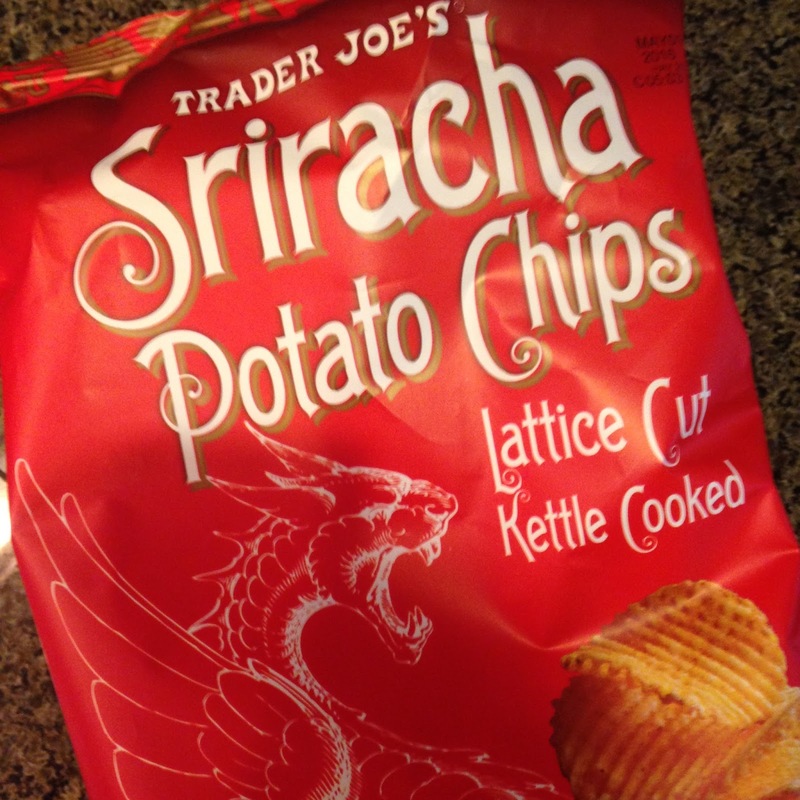 If you have the slightest bit of self restraint, unlike me, then I HIGHLY recommend these chips. 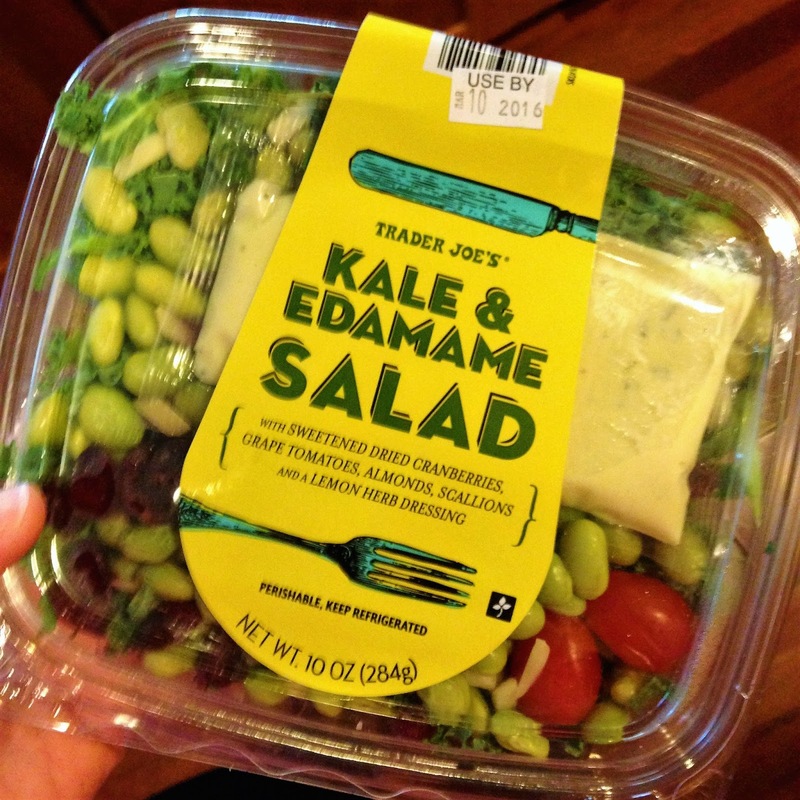 On the other hand, I think my love for the Kale & Edamame Salad makes up for the decidedly not nutritious chips. I buy at least one a week for lunch, add avocado and use about half the dressing - because it's plenty and the salad dressings at Trader Joe's are delicious for a reason: a twee bit more saturated fat and sugar than is strictly necessary. 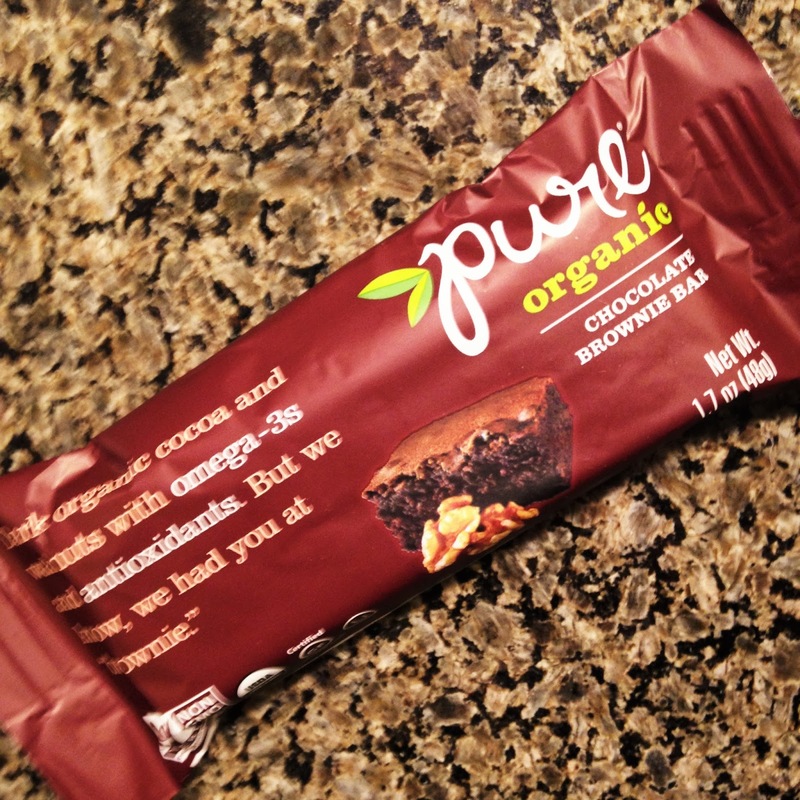 And a nice little healthy snack I pick up from TJ's, but you can find in any grocery store is the Pure Bar Organic. 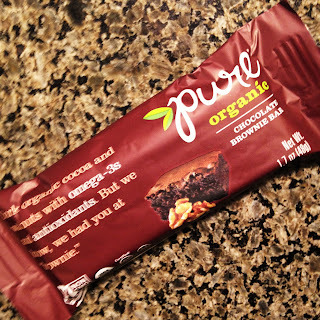 I like that it's less than 200 calories, has a decent amount of protein (5g), AND fiber (4g) which most protein packed bars are usually lacking. The thinkThin Protein & Fiber Bars fit this bill, and I'll buy them every once in awhile, but the Pure bars have a much more natural taste. Hair products have never really been my bag. I really dislike the feeling of any product in my hair. But, since I hardly use product, I rely overmuch on heat styling tools. 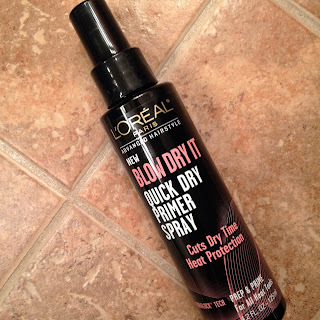 So, when I saw all the raves about this L'Oreal Blow Dry It Quick Dry Primer Spray in the Target Beauty Box I missed, I thought it was a product I should at least try. You know what else is soft and lovely? (How's that for a segue?) Alternative Apparel sweatshirts. I bought this one from ILY Couture last year and it is still SO SOFT after weekly washings. I wear it, you guessed it, every weekend. So I looked into the brand and found that their products can be purchased quite inexpensively from Amazon. 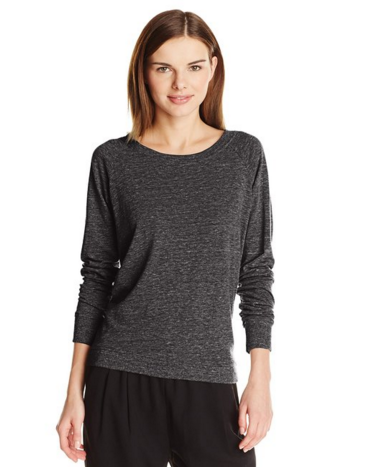 I got another scoop neck and this awesome lightweight Slouchy Pullover pictured above. 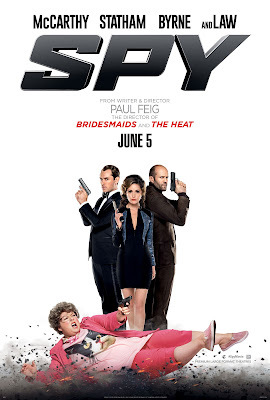 Why oh why did it take me so long to see Spy?? You've all seen it, right?? My husband and I watched it for one of our Saturday date nights and we were both howling. We're both fans of Jason Statham, and it was fun to see him as kind of a idiot instead of the super cool tough guy. And, of course, Melissa McCarthy is the bees knees. But, you already knew that. 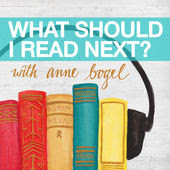 Last, but not least, I've been loving the What Should I Read Next podcast, which I mentioned the other day on my library haul post. I've participated in Ann Bogel's book review linkup for a long time on Modern Mrs. Darcy. She used to do this 'Literary Matchmaking' as a questionnaire on the blog, recommending books to readers, and it is WAY more fun to listen to the conversation that happens when people are posed with her questions: What are three of your favorite books? Name one book you hate. What are you reading now? 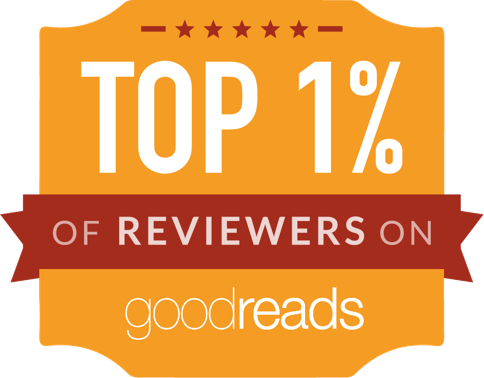 Is there anything you'd like to change in your reading life? The most recent guest is one of my favorites: Janssen at Everyday Reading who I link to frequently here (especially in the recipe department - mmm, Jalapeno Popper Chili), and it was the most relatable of all the podcasts for me. I very much agree with Janssen on being 'meh' on books described as having 'beautiful writing' and enjoy plot driven, first person narratives. I fervently wish that one day Anne can give me book therapy!